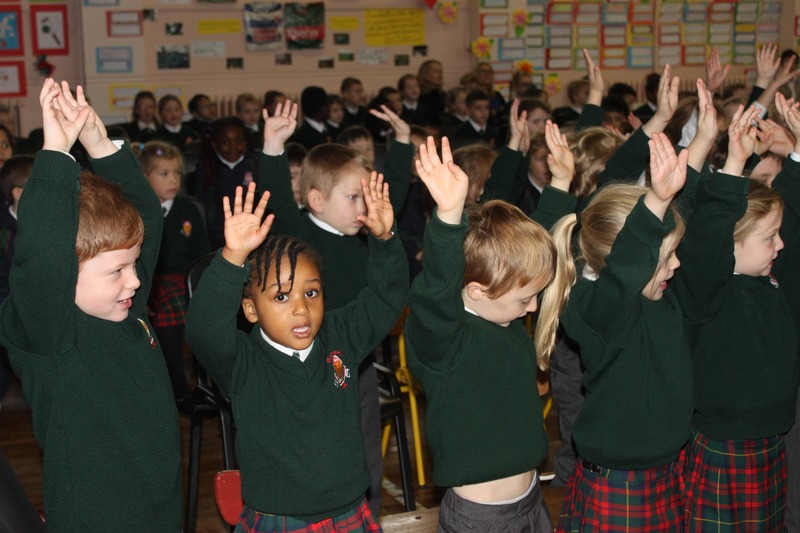 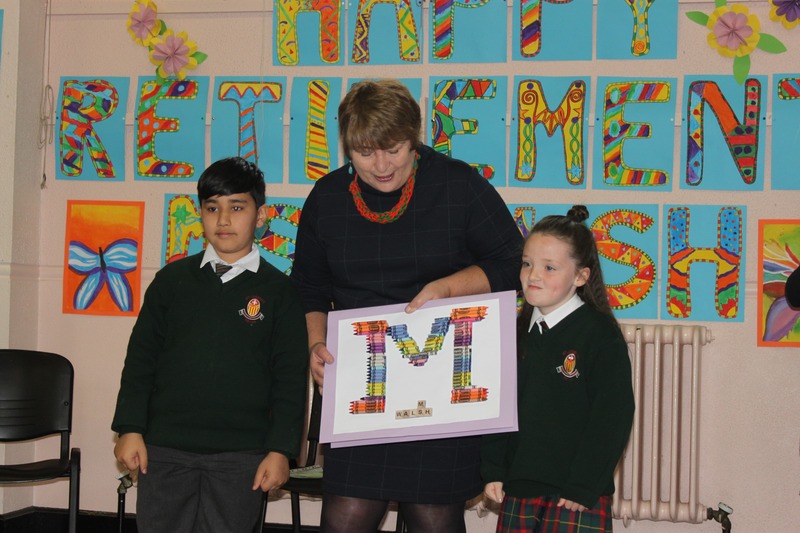 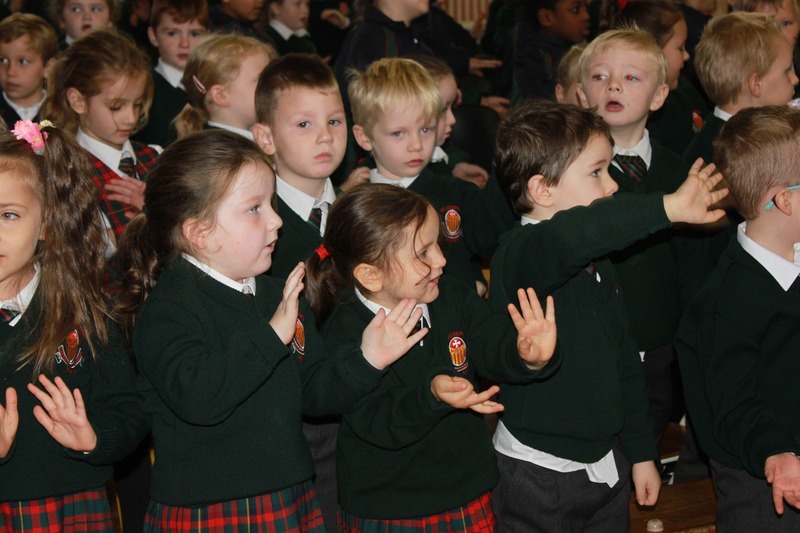 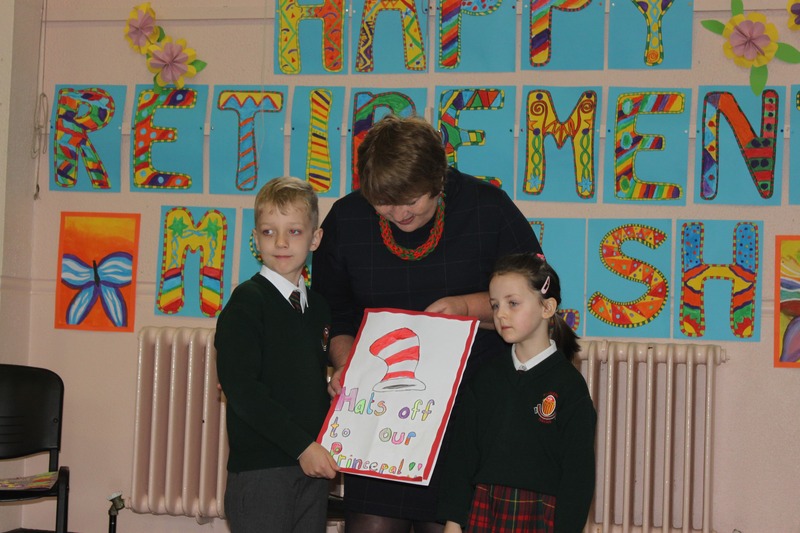 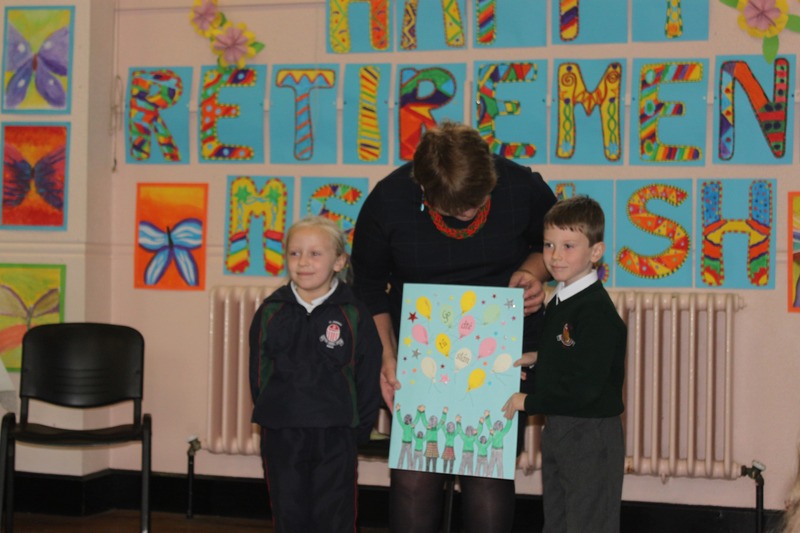 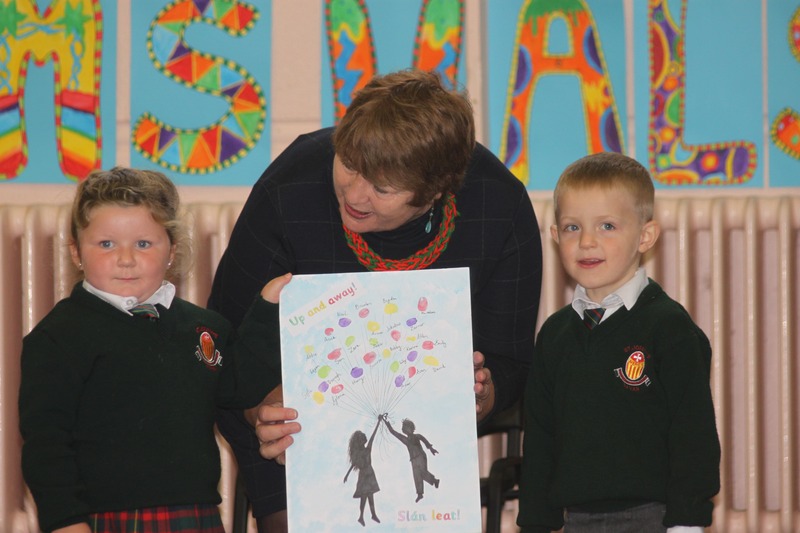 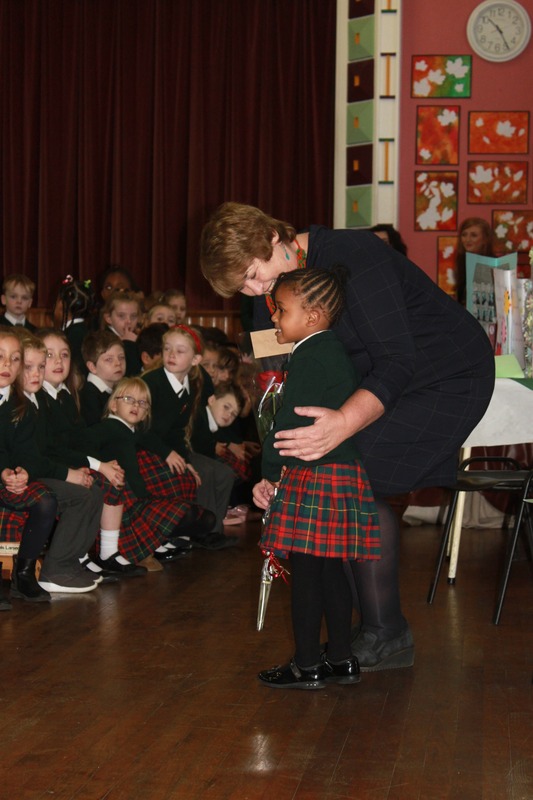 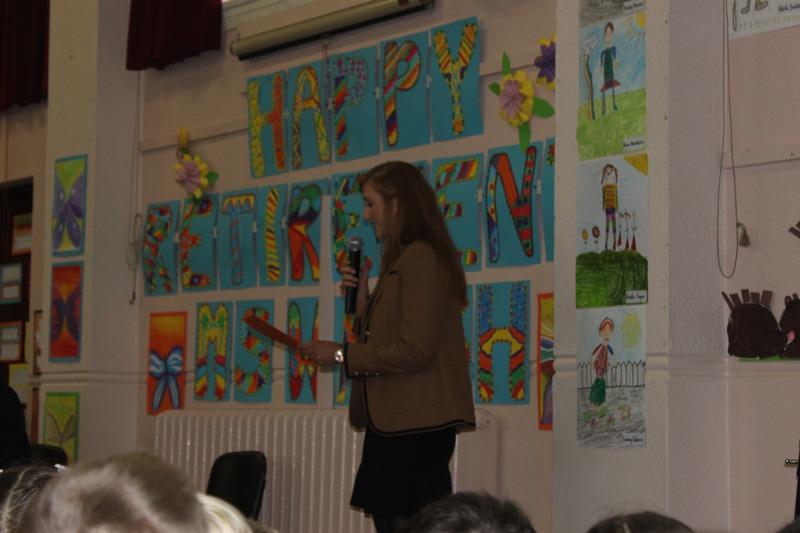 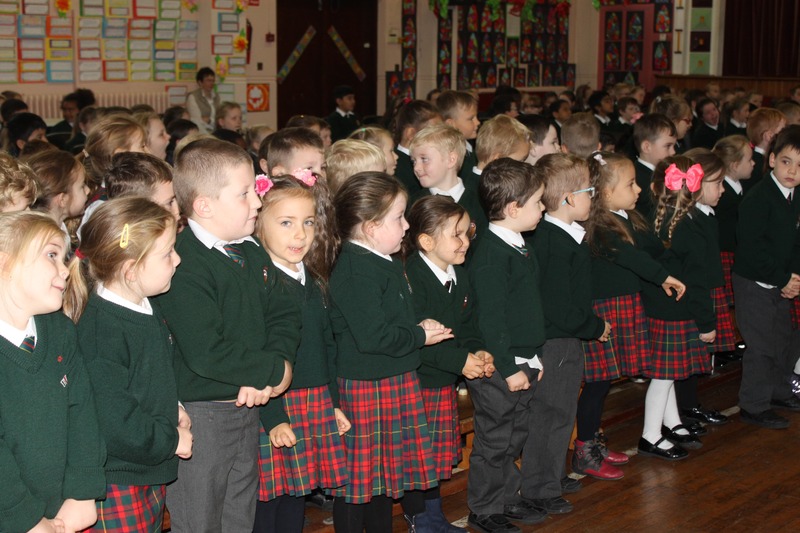 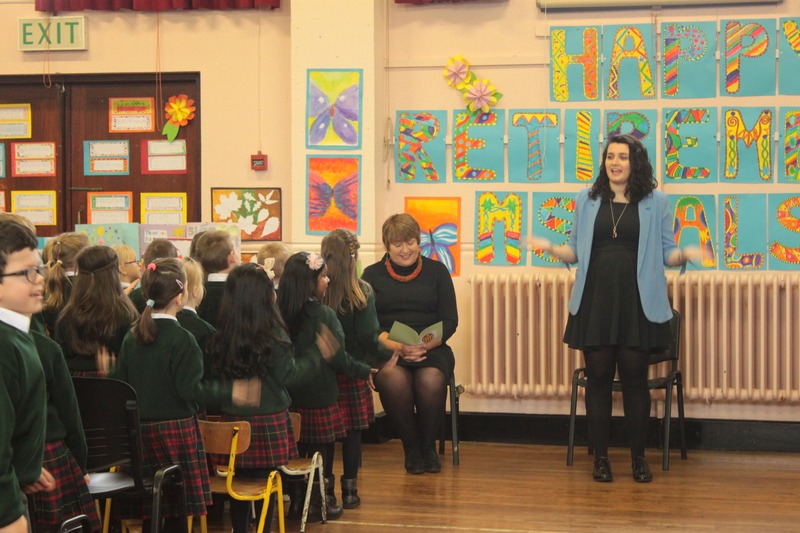 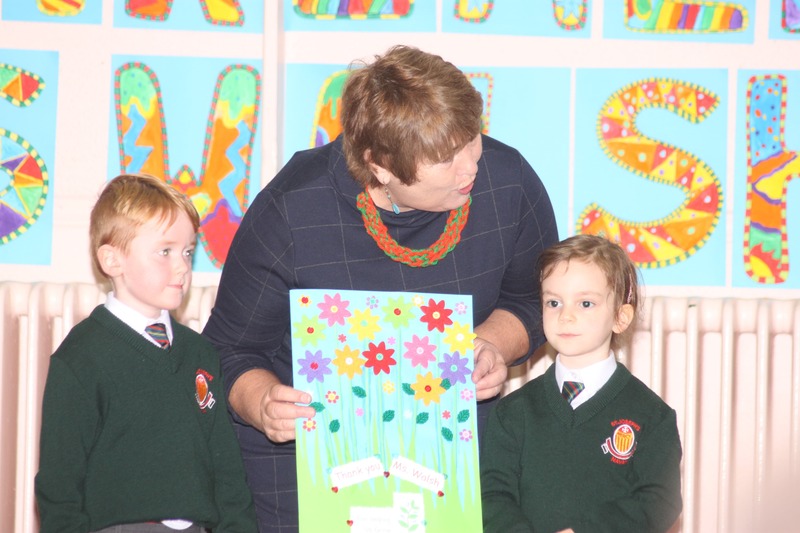 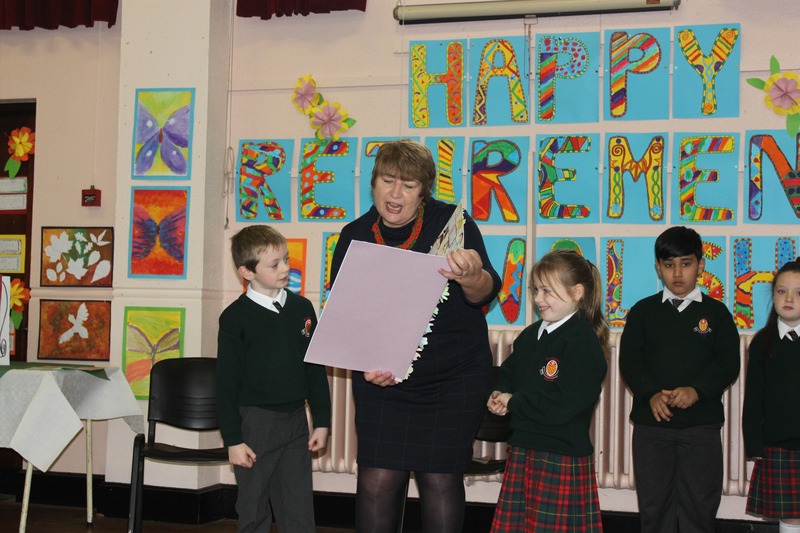 On Ms. Walsh's last day in school the junior infants, senior infants, first and second classes gathered in the hall. 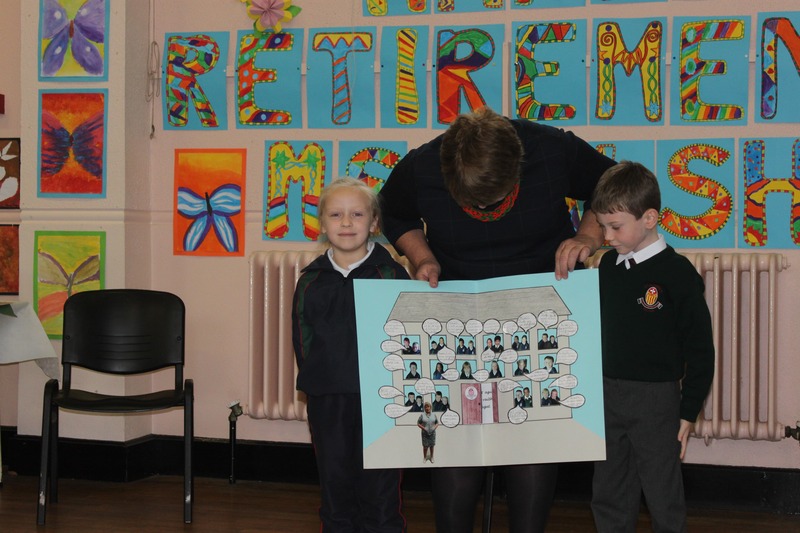 They presented Ms. Walsh with cards they had made for her. 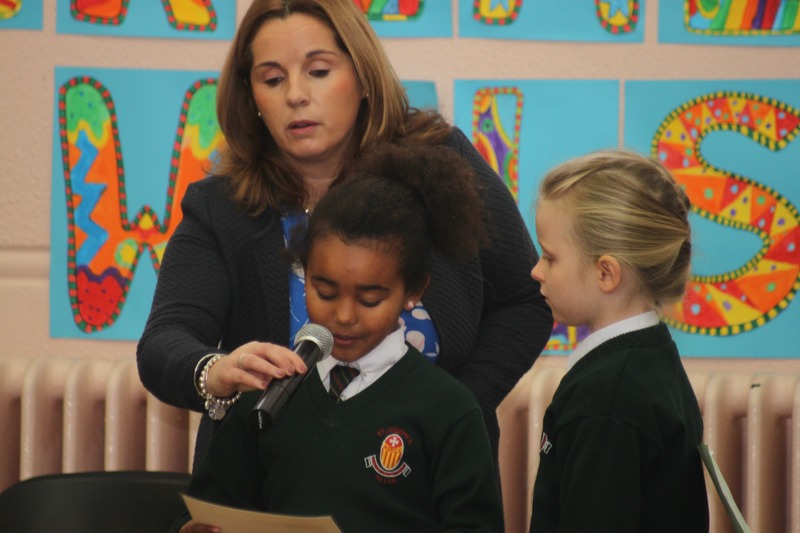 They sang their own version of 'I'm a Believer' and they wished Ms. Walsh health, joy and love with their song 'Go Forth with a Song'.